Hello lovelies, if you follow me on Twitter you will know that we had pizza last night for dinner. Not just any old pizza though, oh no, we had Better Than Takeout Pizza. AND I had 50% off Domino Pizza vouchers!!!! I know delivery pizza is really handy, but, it is soo expensive, even with vouchers. My Better Than Takeout Pizza costs a fraction of the price of delivery pizza, tastes way better than supermarket pizza, is incredibly easy to make AND you can top it with whatever you fancy! Have I convinced you to make your own pizza? 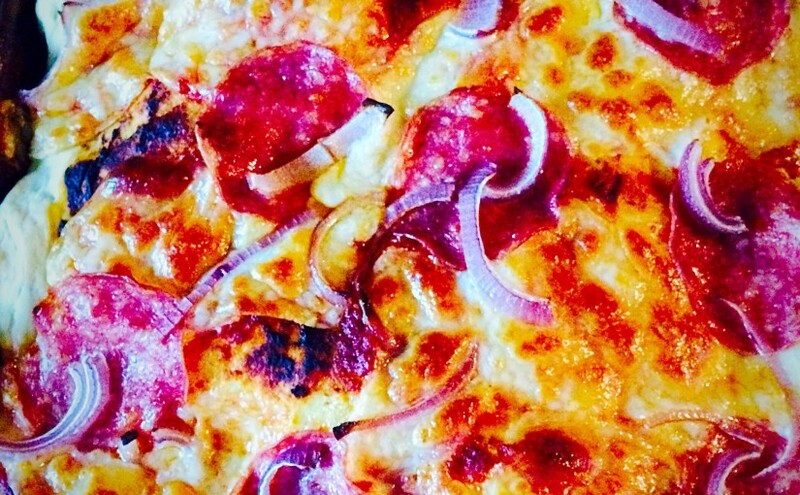 This Better Than Takeout Pizza has the most amazing crust. Made from scratch and, if possible, left to rise slowly through the day in the fridge. 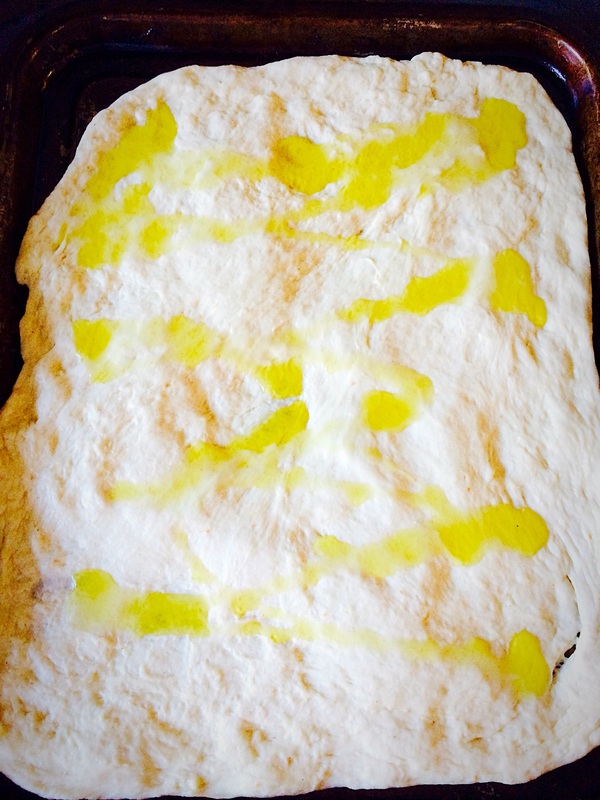 Slowing proving the dough allows the flavour to develop and guarantees the crispy, chewy, crust that we all love. This recipe is perfect for the weekend, when we all generally have a little bit more time to potter in the kitchen. Guess what? 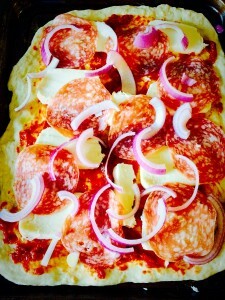 If you can squeeze an extra 10-15 minutes into your morning routine, what you now have is a Pizza Any Night Wonder!! 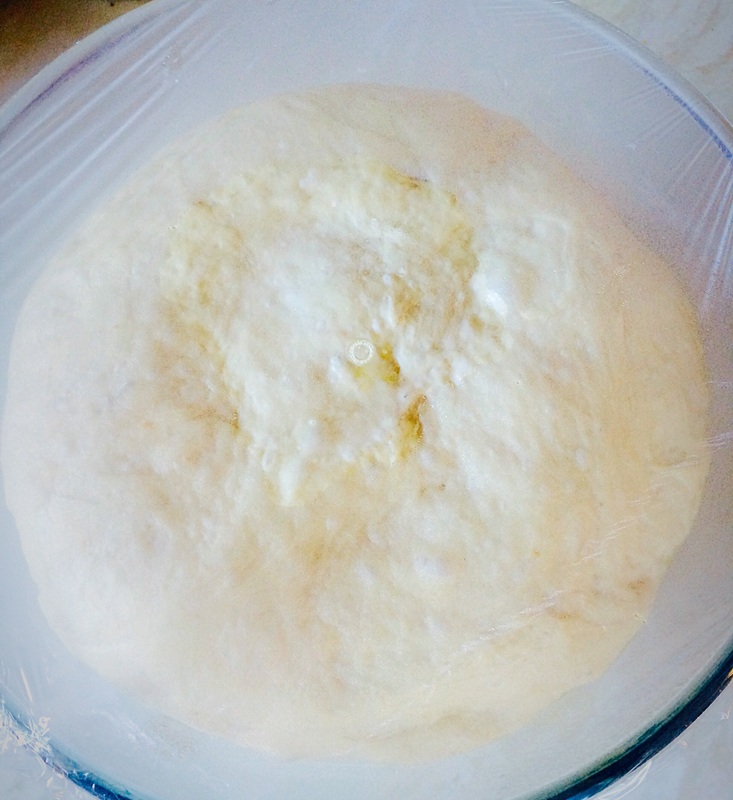 Prep the dough in the morning, bung in the fridge to prove slowly throughout the day, a bit of bashing and stretching when you get home and within an hour you can have homemade pizza on the table for dinner. Even better, if you have children, teach them how to stretch out the dough and you can sit down with a cuppa whilst they make dinner!!!! 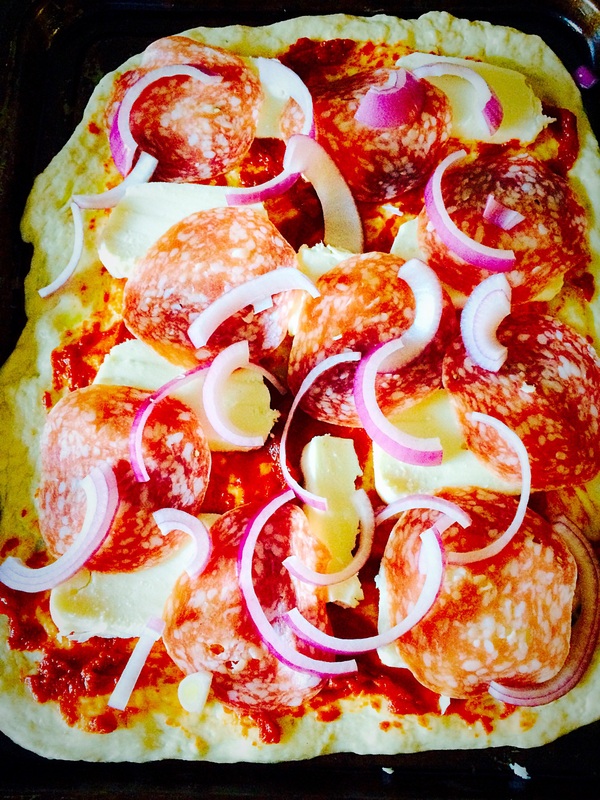 Growing up, our children and their friends have made an assortment of pizzas. Did you know green pepper slices make excellent light sabers! Pepperoni as a piggies snout. Sweetcorn decorated flowers. Really the possibilities are endless. And I haven’t had a child round for tea who didn’t thoroughly enjoy making their own pizza, but also polished off every last morsel at the table! This quantity of dough would easily make 8 individual children’s pizzas, or 2 large pizzas, more than enough to feed 4 very hungry teenagers/adults! 1 x Red Onion thinly sliced. Into the bowl of a stand mixer or bread maker add the water, yeast, flour, olive oil and salt – in that order. Set bread machine to dough cycle and start. With a dough hook attached to a stand mixer, start mixing a on a slow speed, once all the ingredients are combined continue to mix for 5 minutes. Once the dough has been mixed tip out into a large oiled bowl. 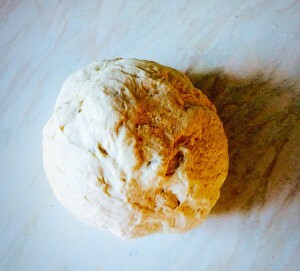 Then flip the dough over, forming it into a ball shape as you do so. Cover the bowl with cling film. This pizza dough is now ready to prove. Place the bowl into the fridge. Leave all day, or until the dough has doubled in size (approx 4 hours). You can leave the dough to prove at room temperature, which should only take an hour. It won’t be quite as chewy and flavoursome, but will still be good! 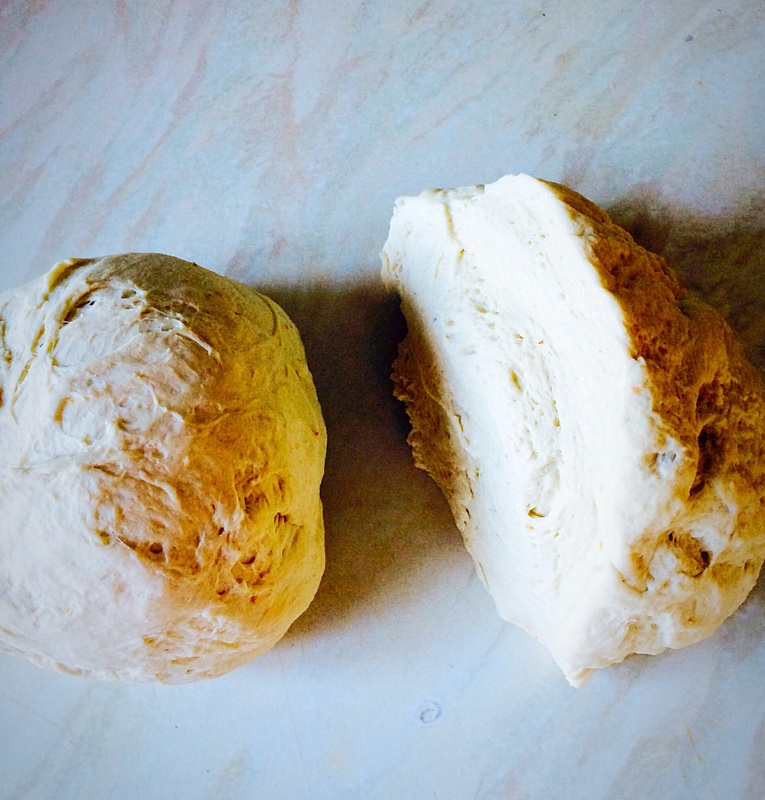 See how the dough has risen slowly in the fridge and is now at least doubled in size! Remove the cling film and get ready for the best part. 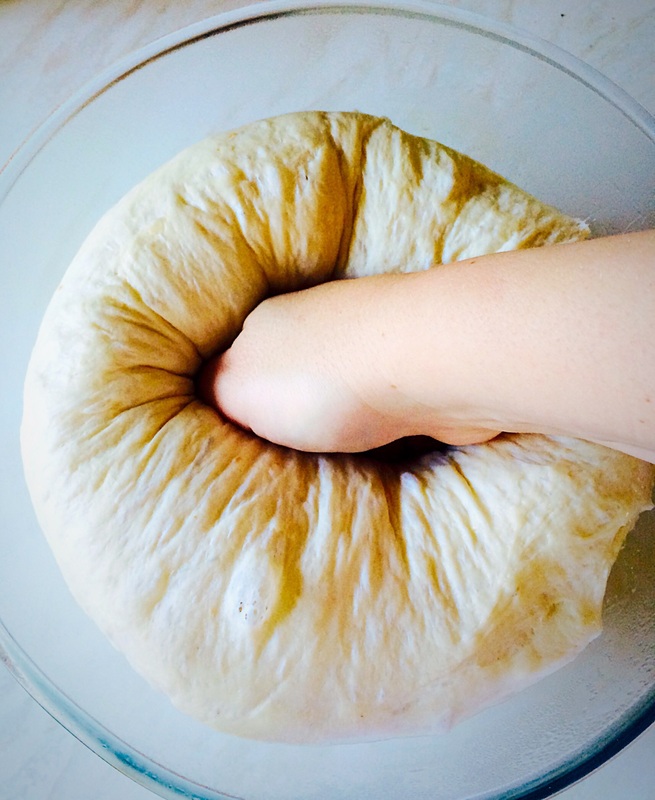 Punch the dough. 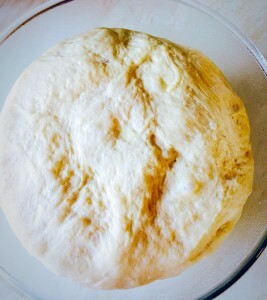 Ooh the satisfying feeling as the puffed up pizza dough deflates. 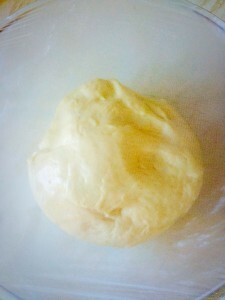 Give the dough a quick knead and then form into a ball. Lightly oil 2 large baking sheets. I use very old, worn, cheap baking sheets, that I bought from the supermarket. They are clean, if a little marked and browned and they work a treat. Just be sure, if using non stick baking sheets, that they are suitable for a high oven temperature AND still oil them! Place half of the dough onto a baking sheet. Using the heel of your hand flatten and then stretch the dough. Work the dough with you hands on an oiled baking sheet. 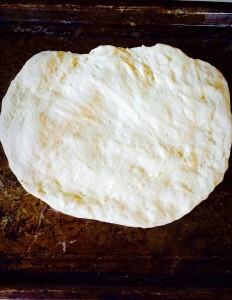 Start flattening and stretching the dough. If making 2 pizzas, switch between the two if the dough starts getting a little resistant to being stretched. A couple of minutes rest will relax the dough and make it easier to work with. 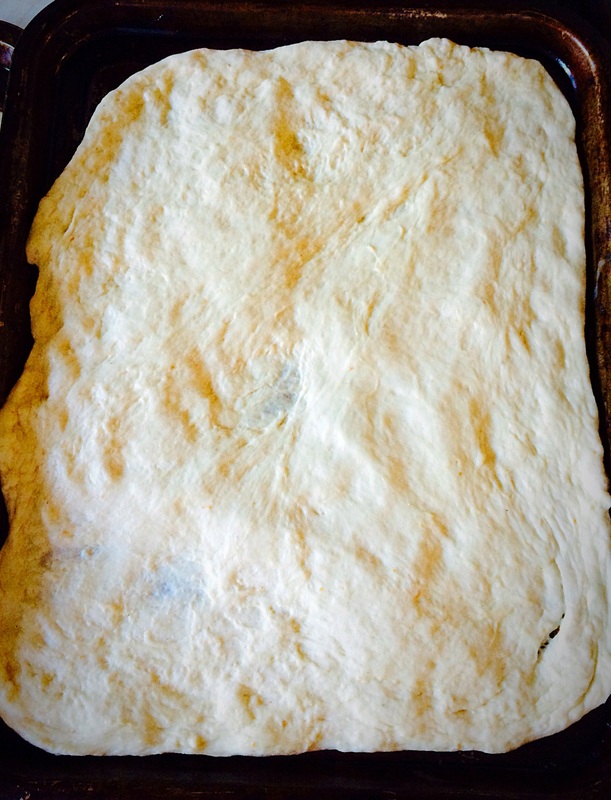 The dough will stretch to fill the baking sheet. Drizzle over a little Olive Oil. 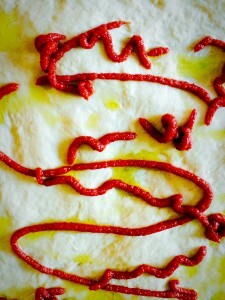 Squirt or spoon over 2tsp of tomato purée. 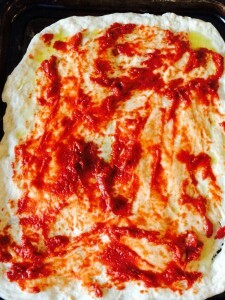 Smosh the oil and tomato purée together so that the dough is covered. Add the cheese of your choice – here I’ve used mozzarella cheese, that’s been sliced. Add the toppings of your choice. 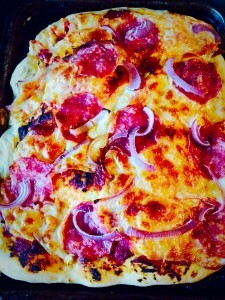 I’ve used Italian salami and sliced red onion. Cover the pizza with a clean tea towel and leave for 30 minutes to rest and prove. Then pop into the preheated oven and bake for approximately 20 minutes. 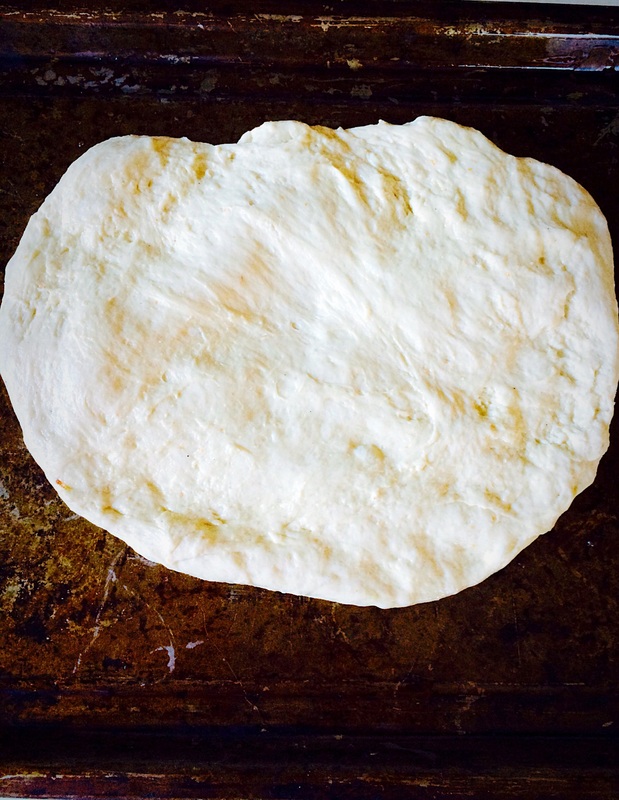 The length of baking time will depend on the size and thickness of your pizza dough. The pizza should have a golden crust when cooked. 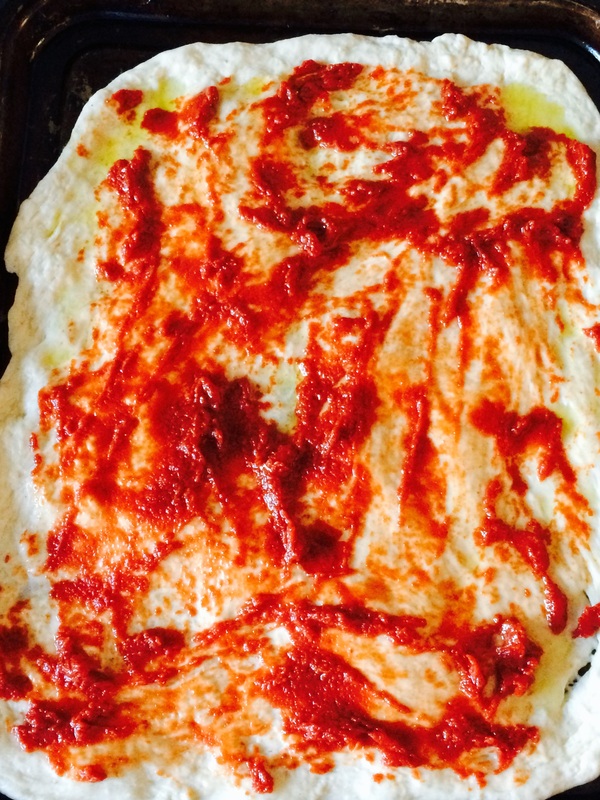 To check, remove the pizza from the oven, loosen with a palette knife and peek underneath. If the base is golden and firm the pizza is cooked, if not return to the oven for a couple more minutes. When baked, remove from the oven and serve immediately, either with my Crunchy Homemade Coleslaw or a nice salad. 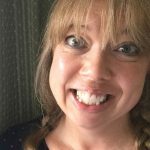 This site is called Feasting is Fun, for a reason. Food should be enjoyable and preparing/eating it must be fun! 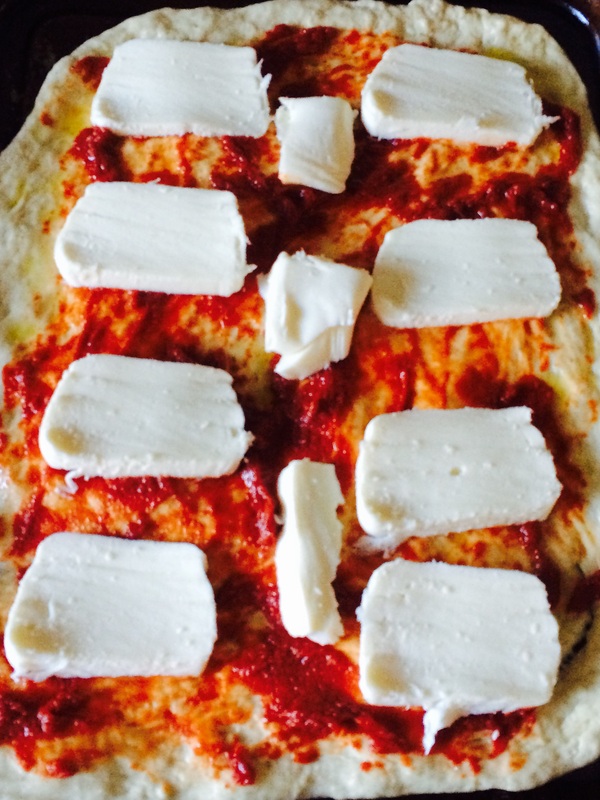 I hope I’ve inspired you to at least try making your own pizza. If you follow my recipe it is guaranteed to be Better Than Takeout Pizza!!! Is there a takeout meal that you would never attempt to cook yourself? For me it would have to be Peking Duck Pancake Rolls – but who knows. Never say never? If you like this recipe then you might like THIS too! I love this idea – we always struggle with the 1.5hrs time on the bread machine for dough when we come home from a hard day out shopping with the teens! Having it prepped and ready to go before we set out is a fab idea and we will try it next Saturday. Red onions and goats cheese with Adam’s home grown Russian Roulette (you never know the strength!) chillies.